Richard Craig made up for the lack of PBs at Carrickfergus on 5th November by taking 1st place, there is that at least. He was followed by William Jenkins, Jonathan Beattie, Robert Steele, Philp Poag, Catherine Steele, Bobbie Irvine, Susan Kane, Karen McMaster, Neill Harper (and Oska), Julie-Ann Mitchell, Karen Bell and Karen Waring. 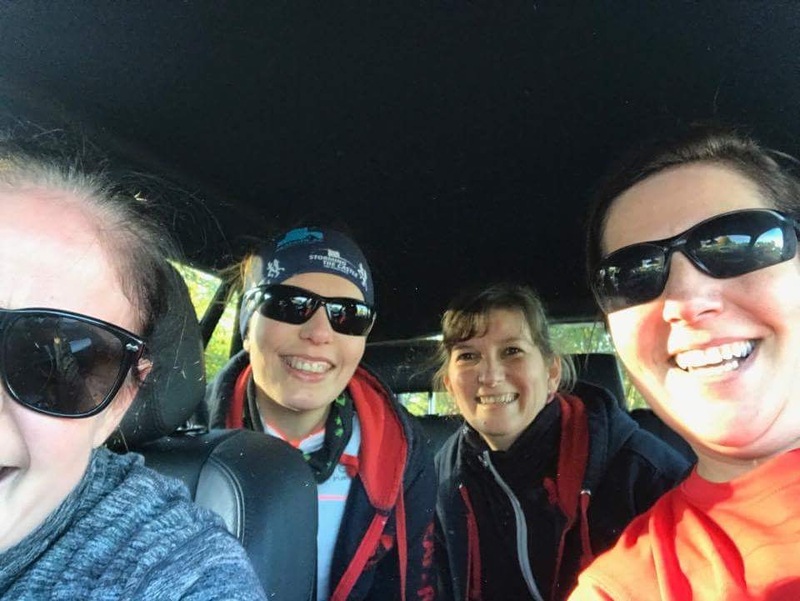 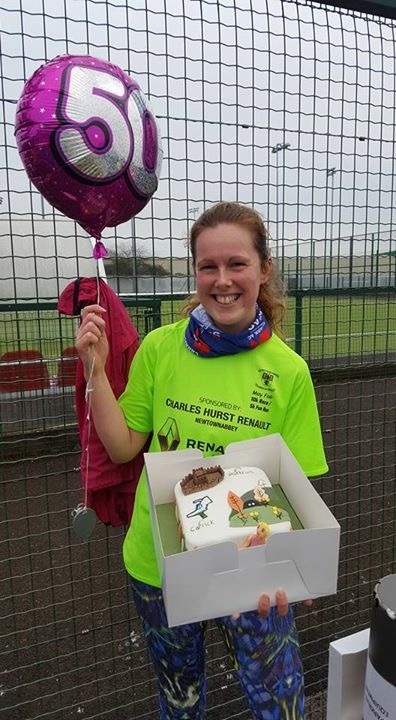 Alison Welsh, Glenda Murray (with a course PB of 31:53) and Carol Downey (1st run on this course) went to Craigavon with Geraldine Kane (1st run at Craigavon) who has now completed 21 of the 23 (so far) NI parkruns this year. 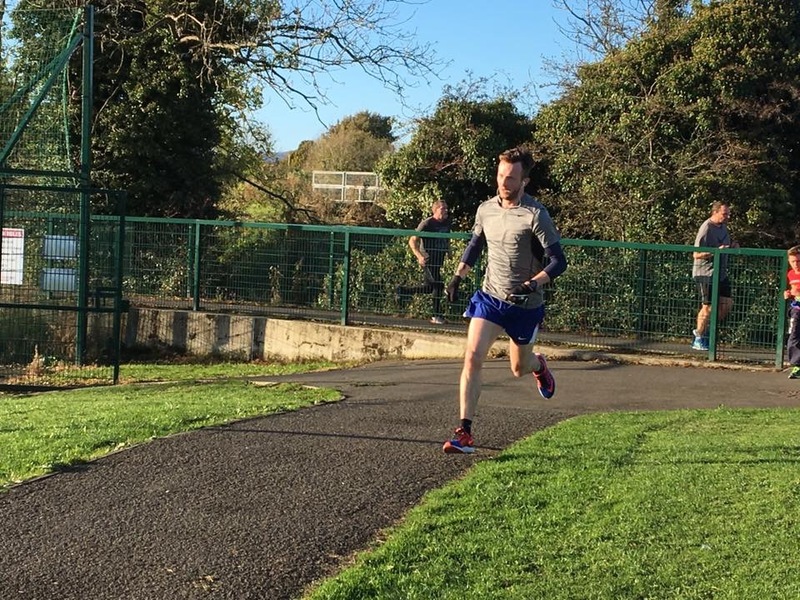 Derek Kane retuned to Larne to help Michael Kane finish his 22/23 (soon to be 24) challenge. It was Michael’s 1st run at Larne. 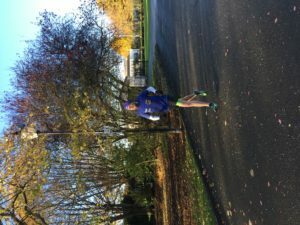 Richard Hetherington enjoyed the fresh autumn air at Valley. 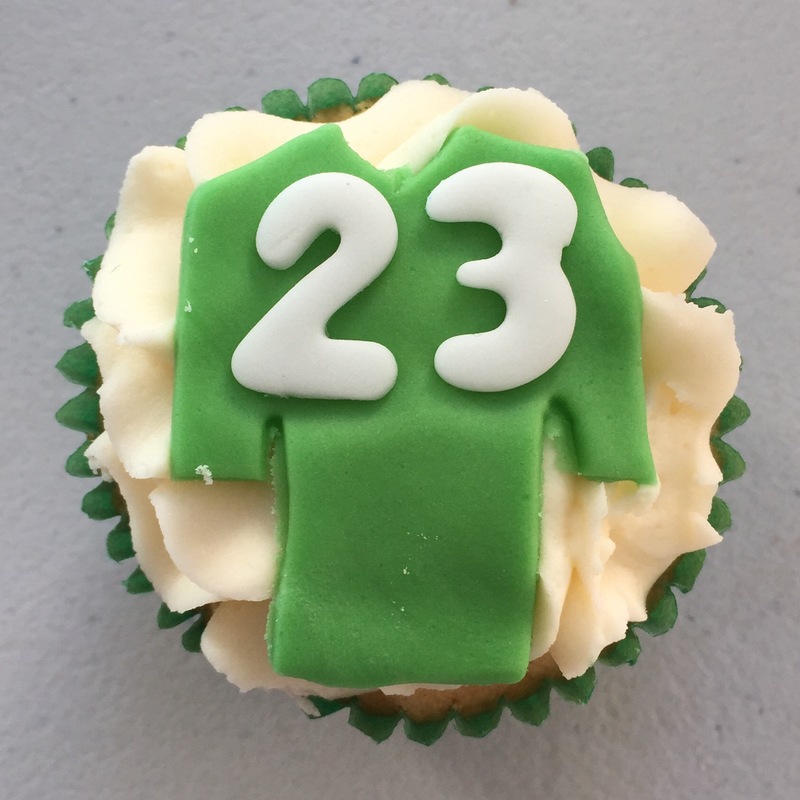 And Ronald Simms returned to familiar ground by going to Wallace. 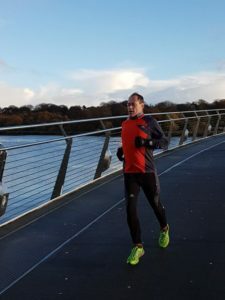 Elsewhere Ian Cleland was 1st on his 1st appearance at Falls, Alan Poag turned his 22 challenge into 23 by attending Omagh for the first time, Colin McCrum went back to Queens while Brendan Rice and Ann McCracken both ran at Victoria. Seapark took over the volunteering duties at Carrickfergus parkrun on 12th with every position being filled by a Seaparker. 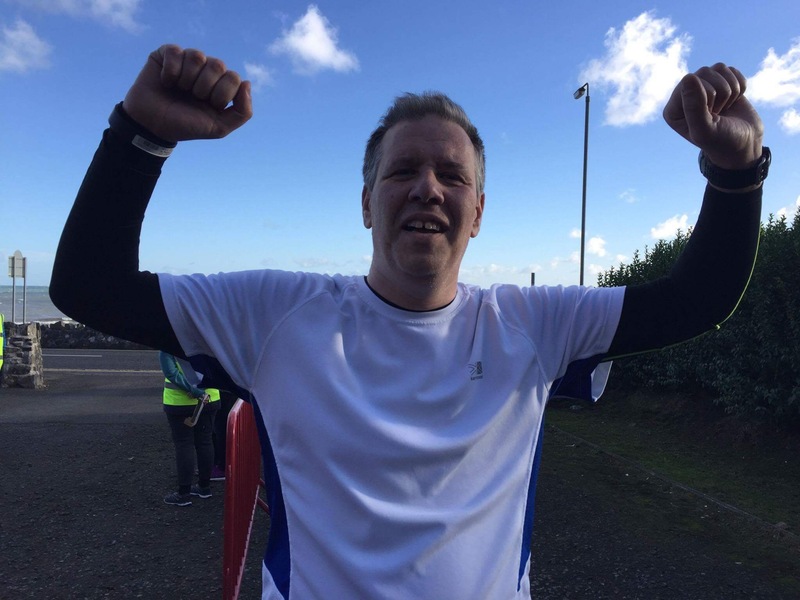 William Jenkins was the first Seaparker to finish and was followed by Jonathan Beattie, Ben McCaughran, Chris Hogg, Paul Daniels, Catherine Steele, Colin McCrum, Richard Hetherington, Karen McIlroy (with a parkrun PB of 28:17), Claire Hamilton and Simon Trimble. 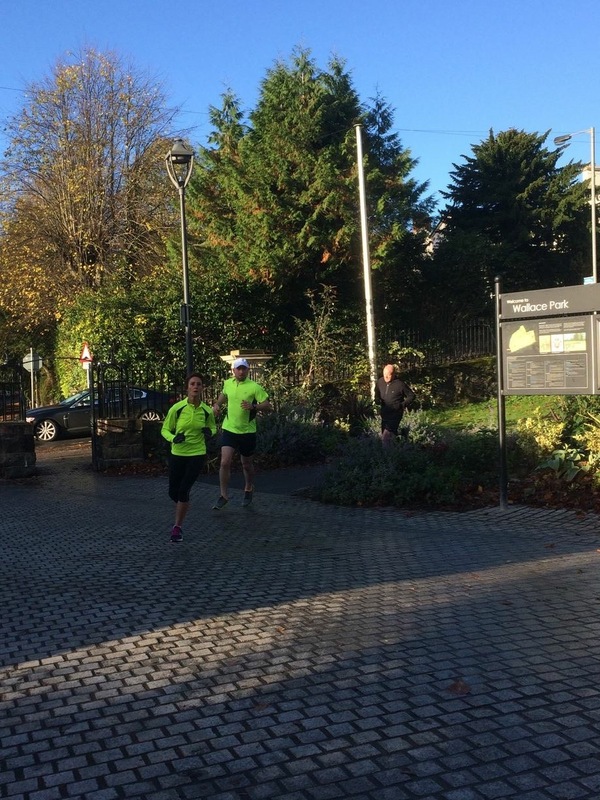 Susan Kane & Geraldine Kane both attended their 1st run each at Bangor. 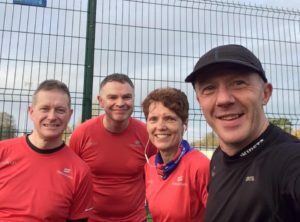 Bobbie Irvine, Allan Grant, Nicola Irvine and Derek Kane all went to Omagh for the 1st time each, turning their 22 parkrun challenges into 23. 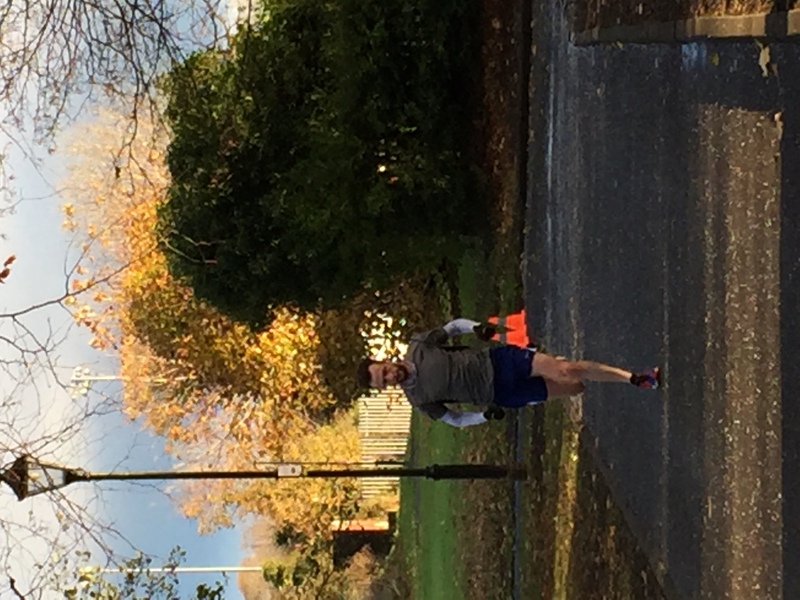 Elsewhere Richard Craig attended his 1st run at Ormeau, while at Queens there was Ian Cleland (1st run at Queens) & Sarah Johnston (with a parkrun PB of 24:29). 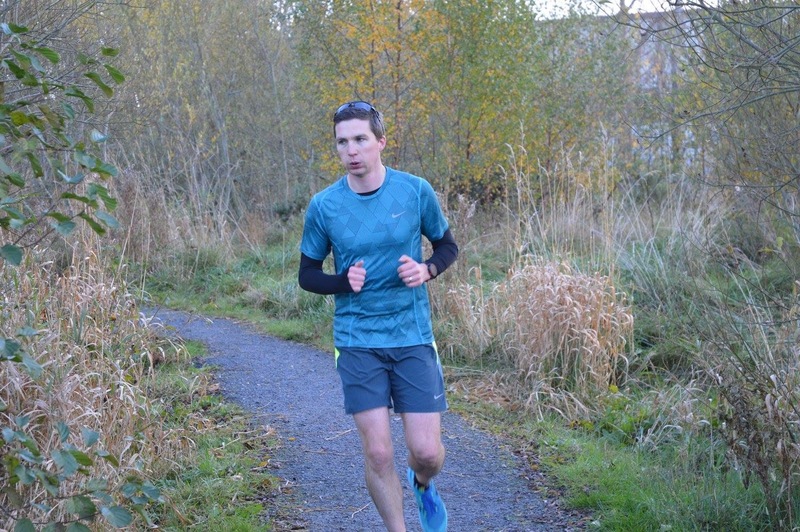 Richard Craig took another 1st place position at Carrickfergus on 19th November. 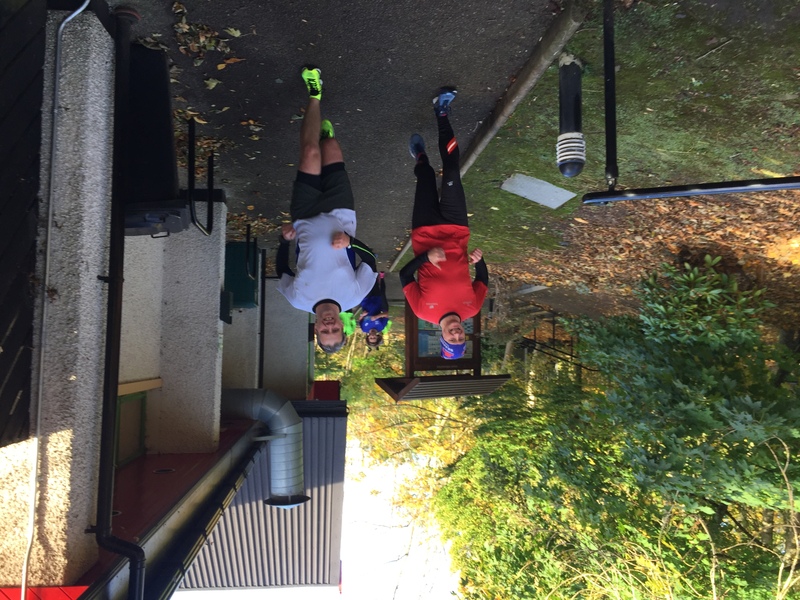 He was followed by Chris Hogg, Jonathan Beattie, Emily Smiley (parkrun PB of 25:09), Catherine Steele, Allan Grant, Derek Kane & Susan Kane. 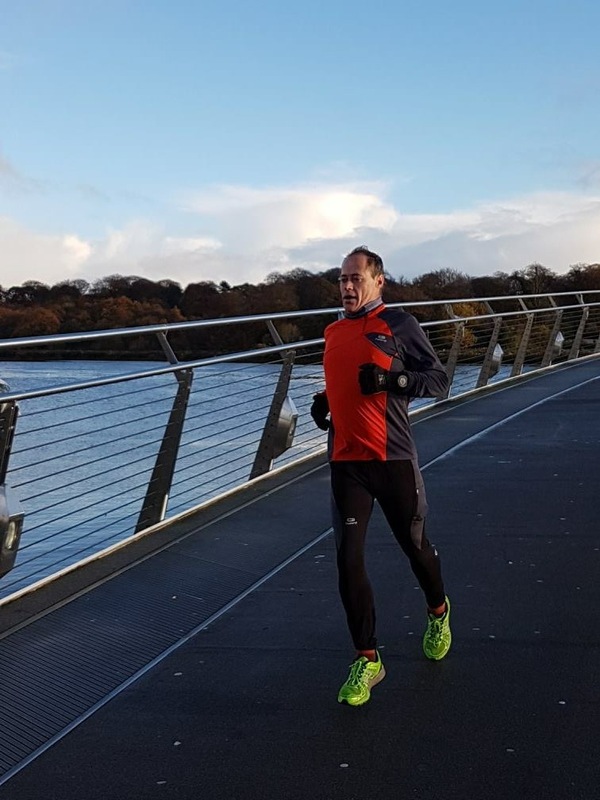 The 19th was the date that the Team Blue/Pink ‘original’ 22 parkrun challenge came to an end with Robert Murray attending his 2nd run at Derry for the boys (to run on behalf of Mark Welsh who pulled out of the challenge earlier in the year). While the girls finished in Armagh. 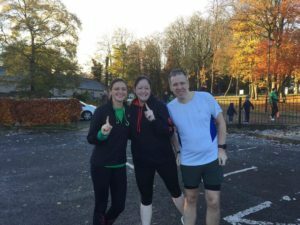 Michael Kane (with a course PB of 31:51) accompanied both Julie Kelly and Geraldine Kane who where finishing the original 22 challenge. 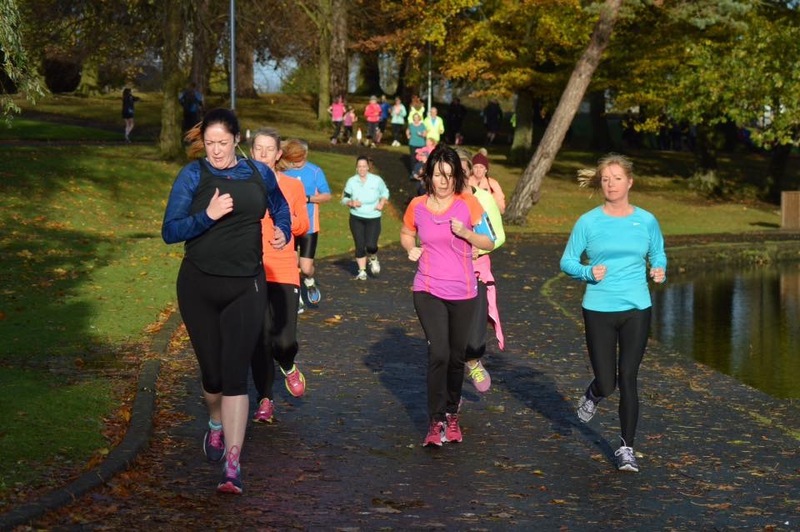 It was the first time at Armagh for both girls. 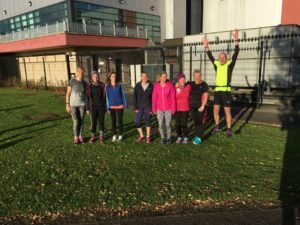 This was also the week of the Valley mannequin challenge. 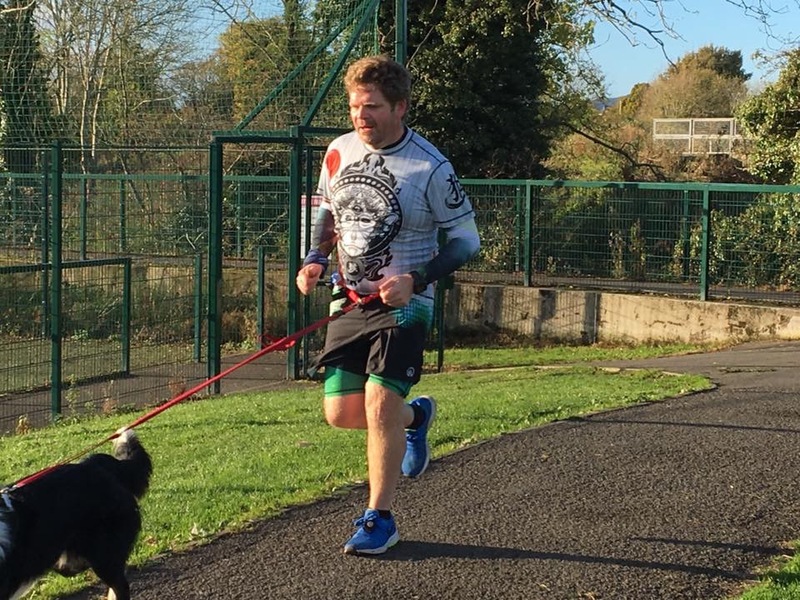 If you haven’t seen the video yet then stop what you’re doing and watch it now. Ian Cleland was the first Seaparker home and he was followed by Richard Hetherington, Bobbie Irvine, Philip Poag (with a course PB of 25:55), Karen Poag and Karen McMaster. 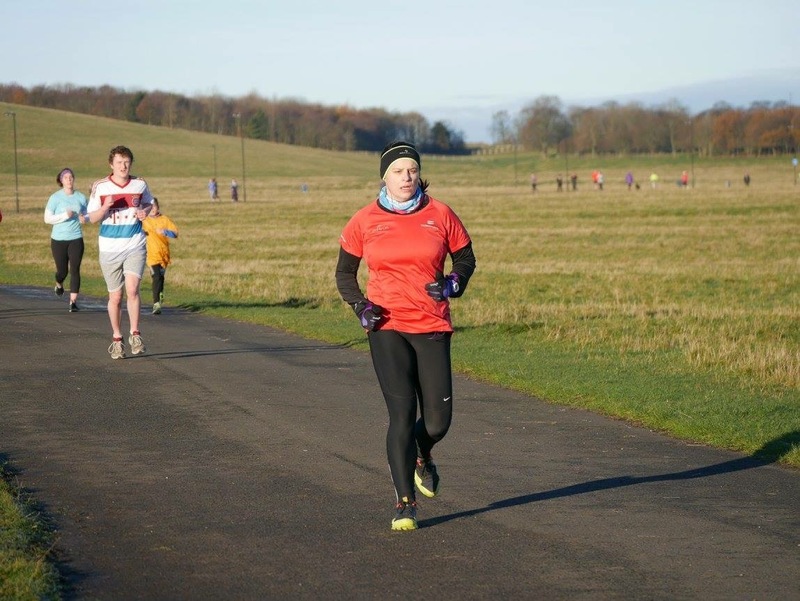 Elsewhere Karen Wearing attended Antrim + William Jenkins achieved a parkrun PB on his 1st run at Victoria. 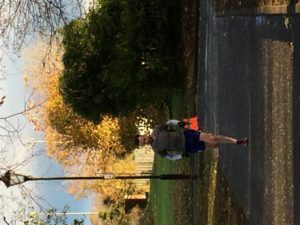 He was followed by Gary Craig and Brendan Rice. 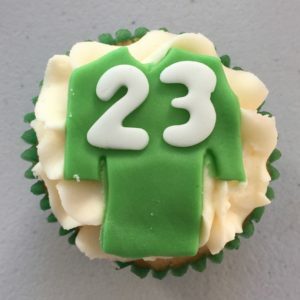 Then Ronald Simms returned to Wallace. 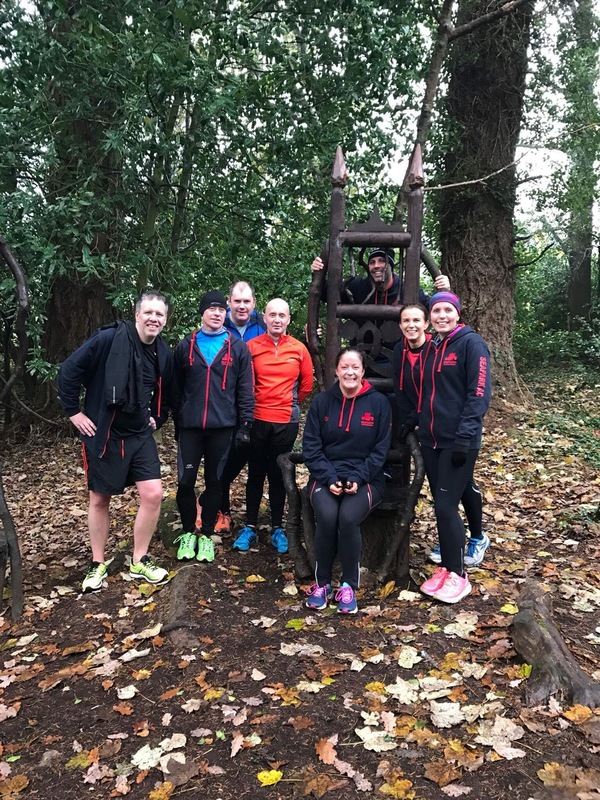 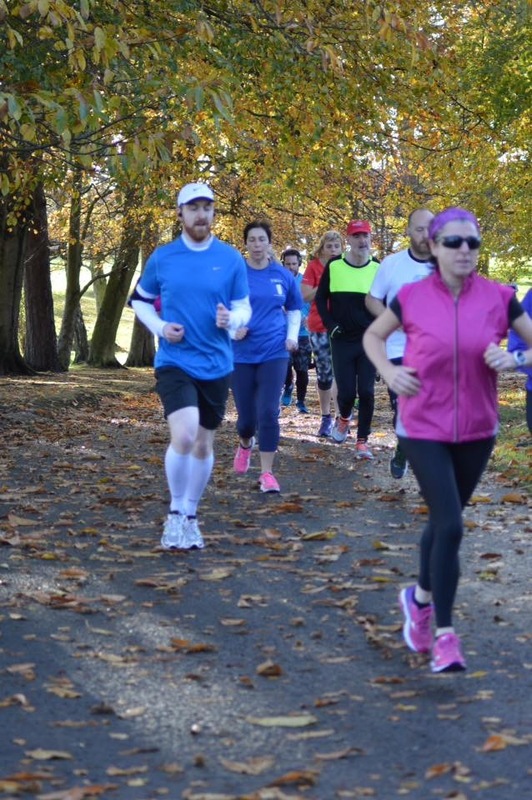 While further afield Paul Daniels attended Cassiobury parkrun. 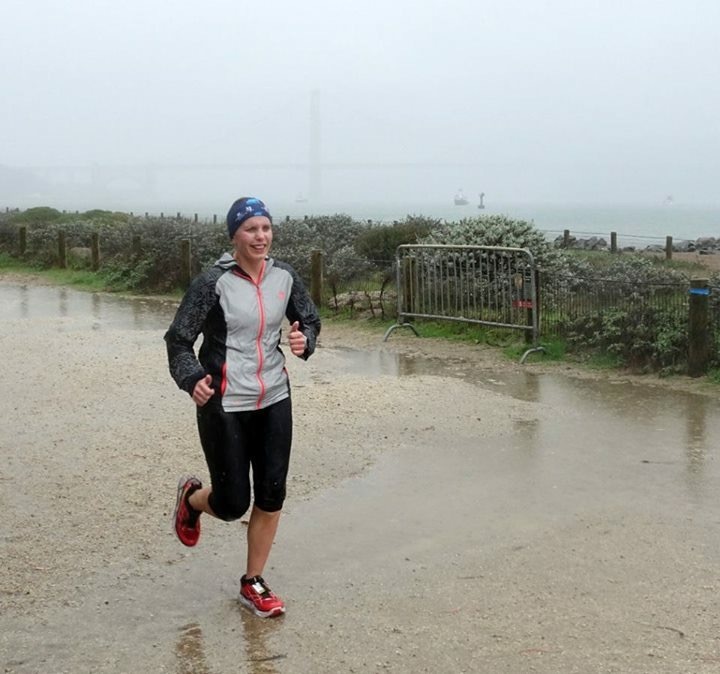 Bur not to be outdone Mark Welsh and Alison Welsh attended Crissy Field parkrun in San Francisco. Just to be different Richard Craig took the 1st place spot at Carrickfergus. He was followed by Ian Cleland, Jonathan Beattie, Ben McCaughran (with a parkrun PB of 21:14), Robert Steel, William Jenkins, Colin McCrum, Sara Johnston, Catherine Steele, Claire Hamilton, Derek Kane, Karen McIlroy (parkrun PB of 28:04), Julie Lyness, Rebecca Tester (on her 50th parkrun), Gillian Strudwick, Neill Harper, Brendan Rice and Susan Kane. 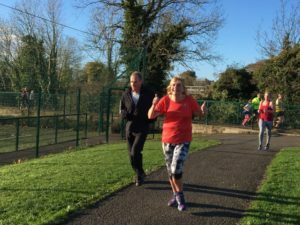 The 22 parkrun challenge (that then became the 23 parkrun challenge) has now become (you’ve guessed it) the 24 parkrun challenge. 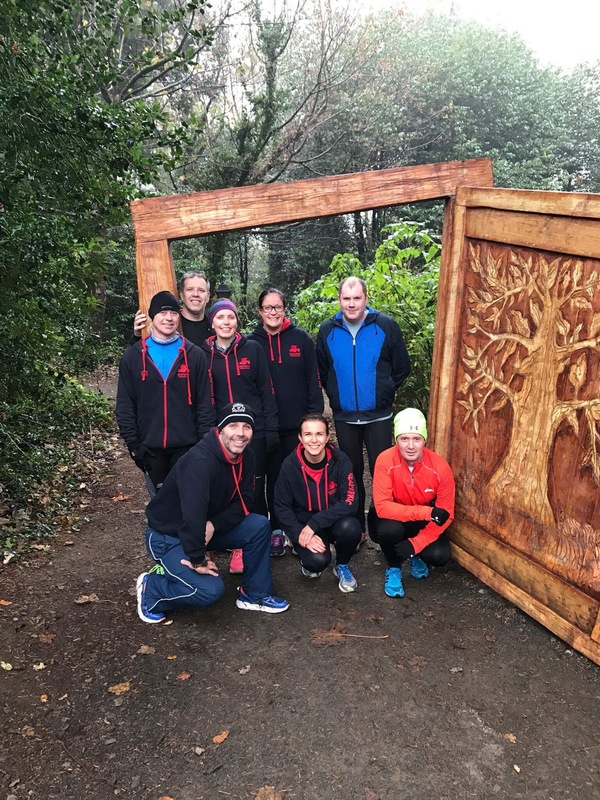 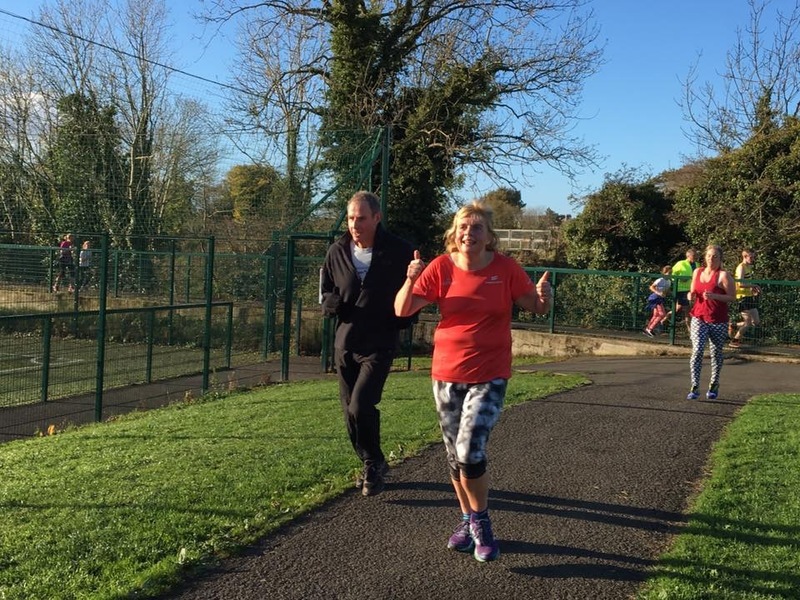 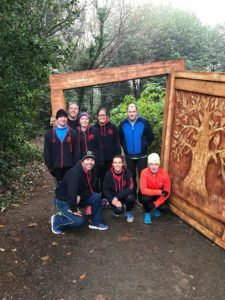 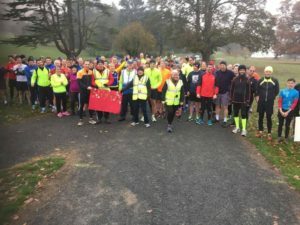 Rostrevor parkrun started on 26th November. 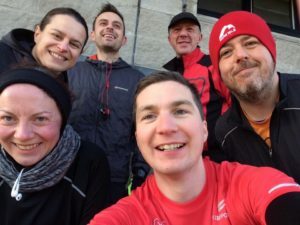 Attending the very first event (and thus becoming the first people to do all 24 NI parkruns) where Robert Murray, Karen Waring, Alison Welsh, Alan Poag, Michael Kane, Trevor Lamb and Geraldine Kane. While that was going on Gary Craig achieved a course PB of 25:02 at Queens, Philip Poag and Karen Poag (with a course PB of 27:04) returned to Valley, Ann McCracken went to Victoria and Karen McMaster attended her 1st run at Newcastle (Upon Tyne). 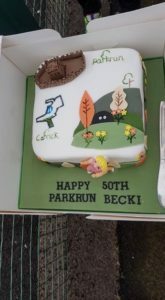 Karen McMaster (AKA Team Chair) ran her 100th parkrun on 15/10/16. 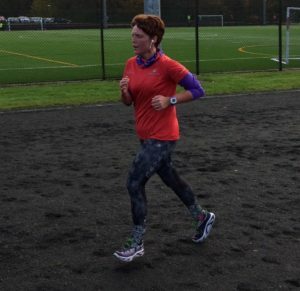 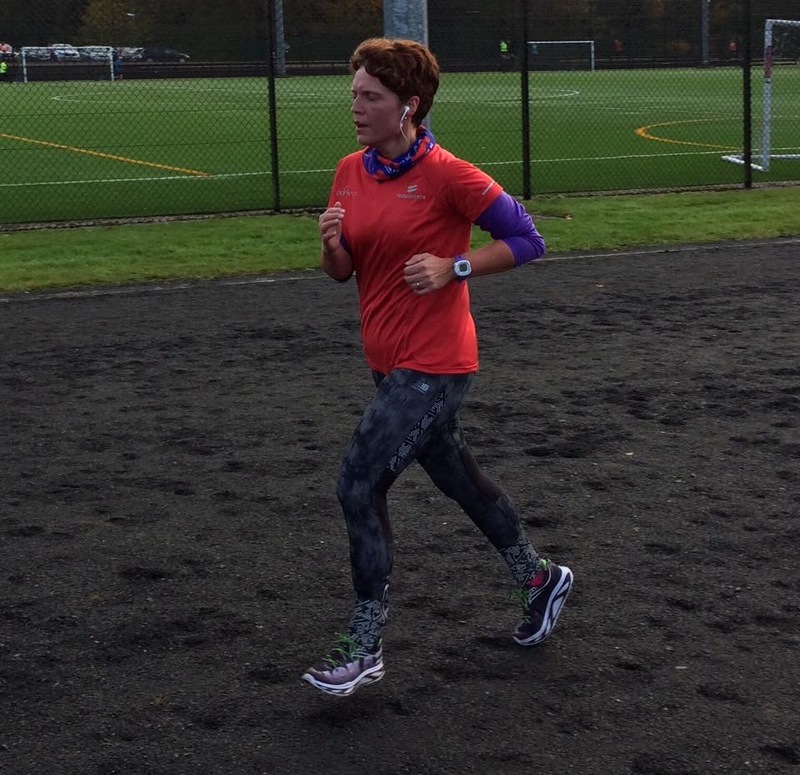 Glenda Murray (AKA Team Devious) ran her 100th parkrun on 29/10/16. 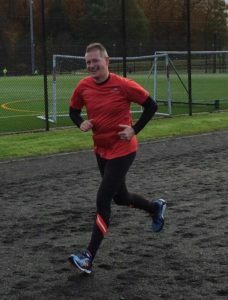 Trevor Lamb (AKA Team Wolf) also ran his 100th parkrun on 29/10/16. 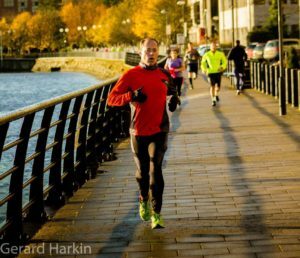 Allan Grant (AKA Team Barcode) is at 96 parkruns as off 26/11/16. 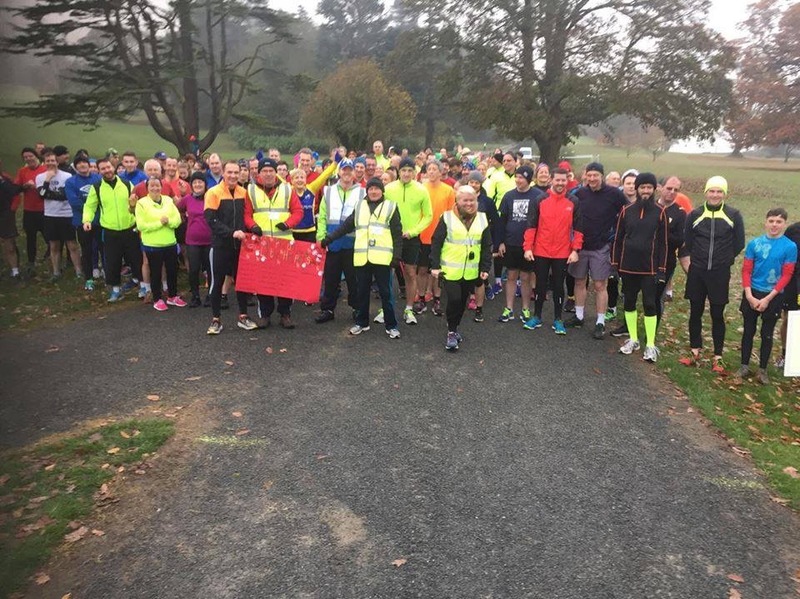 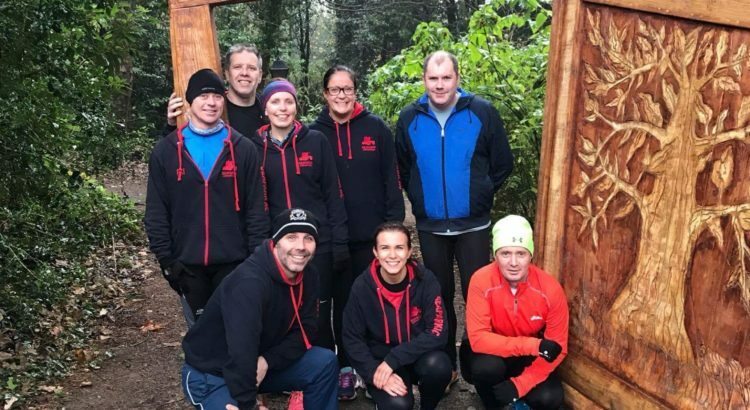 Everyone has now finished the original 22 NI parkruns. 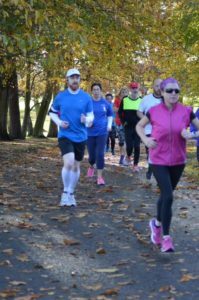 Though a few still have to finish Omagh (the 23) and Rostrevor (the 24). 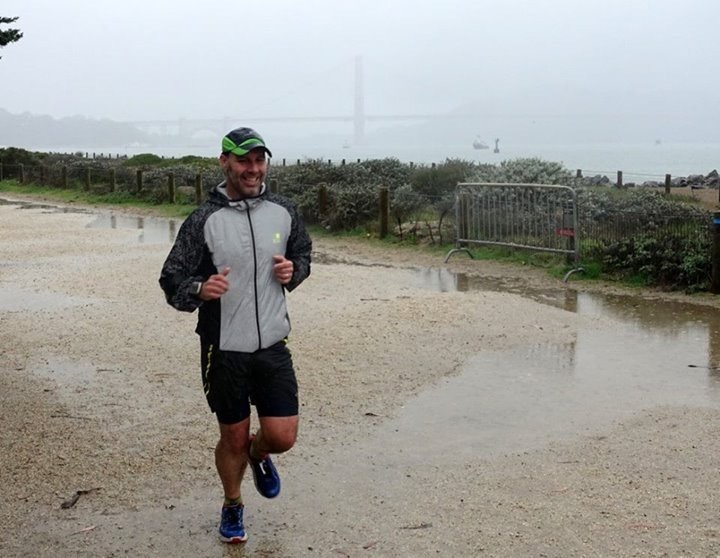 Completed 02/07/16 and 1st Male Winner. 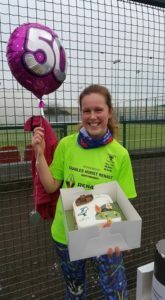 Completed 02/07/16 and 1st Female Winner. Bobbie Irvine, Nicola Irvine, Robert Murray and Alan Poag all completed their 22nd parkrun on 13/08/16, Karen Waring completed her 22nd parkrun on 03/09/16, Trevor Lamb and Rebecca Tester completed their 22nd one on 17/09/16, Allan Grant completed his on 24/09/16, Alison Welsh completed hers on 01/10/16, Nikita Murray completed hers on 08/10/16, Michael Kane finished his last one on 05/11/16 + Julie Kelly & Geraldine Kane finished theirs on 19/11/16. Andy’s parkrun challenge ended on 29th October and the winners where announced at the prize giving dinner on 26th November. Ian Cleland & Sara Johnston. 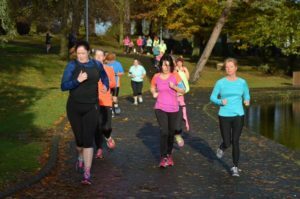 It appears we don’t have any 30-34 females in Seapark as they are all insisting that they are still only 29. 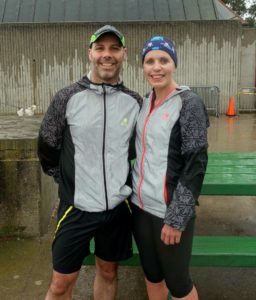 Jonathan Beattie & Alison Welsh. Trevor Lamb & Gillian Strudwick. 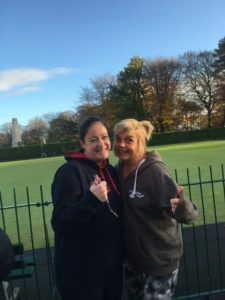 Charlie McCormick & Karen Waring. 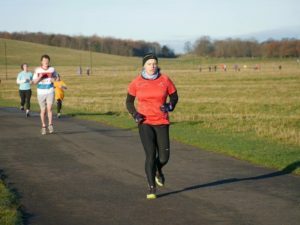 No female 50+ winner because if there were it would only have been Bobbie in a skirt. 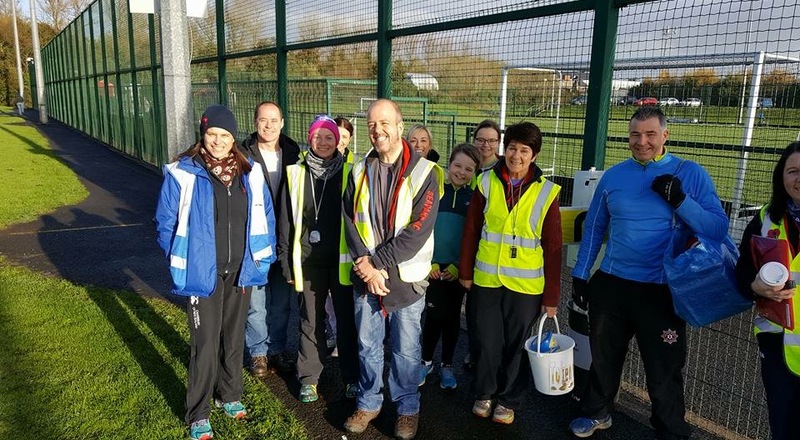 Everyone had to do Carrickfergus, Larne and one other + volunteer at Carrickergus at least once. For their third parkrun choice Ian & Sara did Waterworks, Charlie & Jonathan did Valley, Bobbie Cookstown, Gillian Queens, Karen Limavady, Alison Craigavon, Trevor Princes, Liverpool and Simon Amager Felled, Copenhagen.